 Buckle up, hit the gas, and hold on tight; you’re in for the ride of your life! 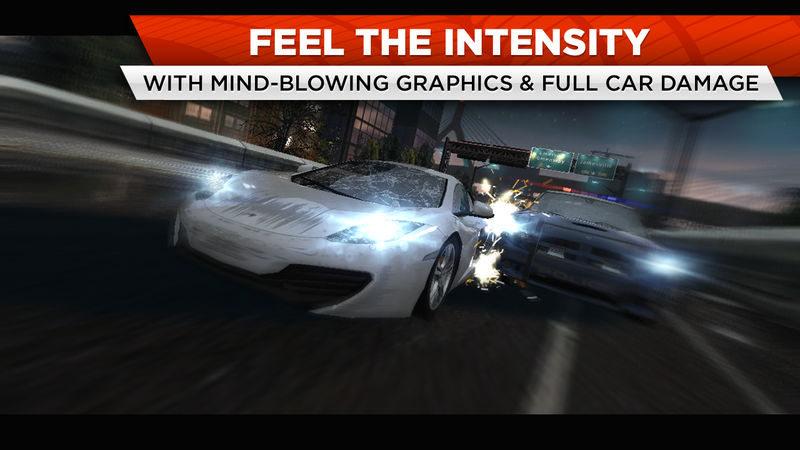 Need for Speed is a staple in racing games and now the franchise is back with the mobile version of the insanely popular Need for Speed™ Most Wanted. Hold on to your seat because you are in for a ride. Street racing is the new big thing, you are about to conquer the world of racing and the cops aren’t happy about it. 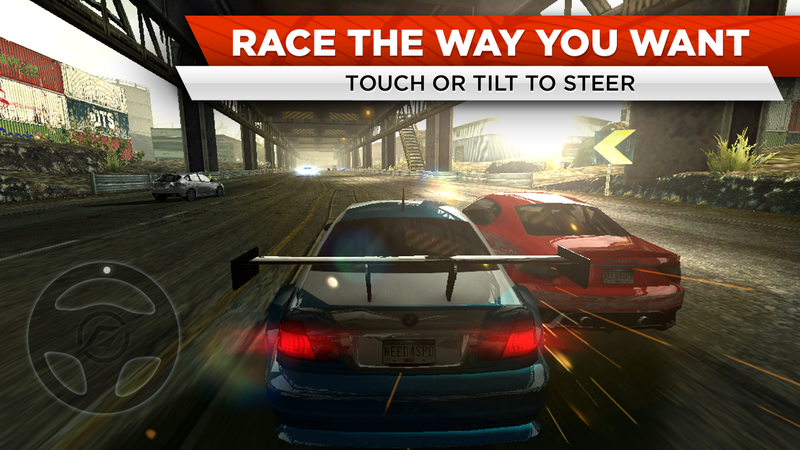 The only important thing is to outsmart the police, overtake your friends and win the races. You’ve got the hottest of cars at your disposal: the SRT Viper GTS, the Porsche 911 Carrera S, the Hummer H1 Alpha, and many more. 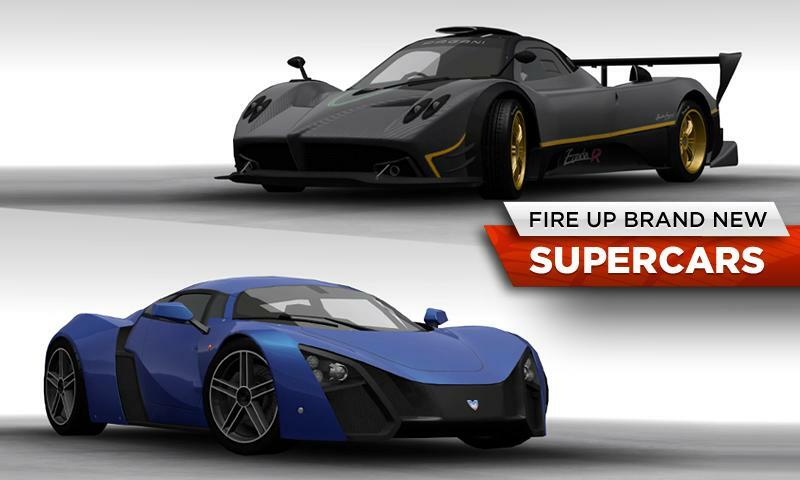 Customize them, drive them, use them to beat your rivals. The controls are more responsive than ever. You can now use your phone’s motion or the touch screen to control your car, giving you total freedom over the way you want to drive. The graphics are insanely good and the new physics engine gives you the feeling that you’re actually driving real racing machines. Just make sure not to crash against anything because you will feel those dents in your rides. Get speed points to unlock new cars, add mods to them to increase their power and do everything you can to rise in the Most Wanted global leaderboards. Challenge your friends on a daily basis. The competition is fierce and it never ends! 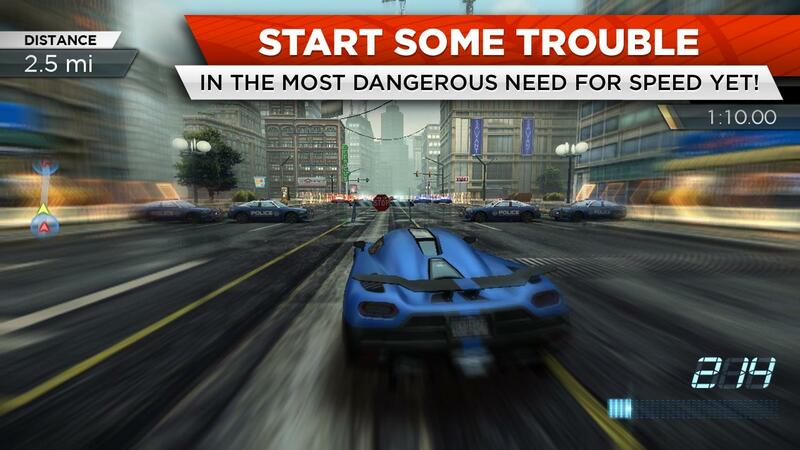 Need for Speed™ Most Wanted gives you the chance to become the best driver in the world. Become the Most Wanted!  Is Need for Speed™ Most Wanted yours? Claim it!